Baptists have historically been called people of the Book, based on a devotion to knowing Christ through His written revelation, seeking wisdom from God as His Spirit guides us. Our charge is to be faithful to the One who called us, not to those dear brothers who went before us, some 400 years past. May my imperfect message provoke you to dig into the Word and not be content with being a disciple of men. 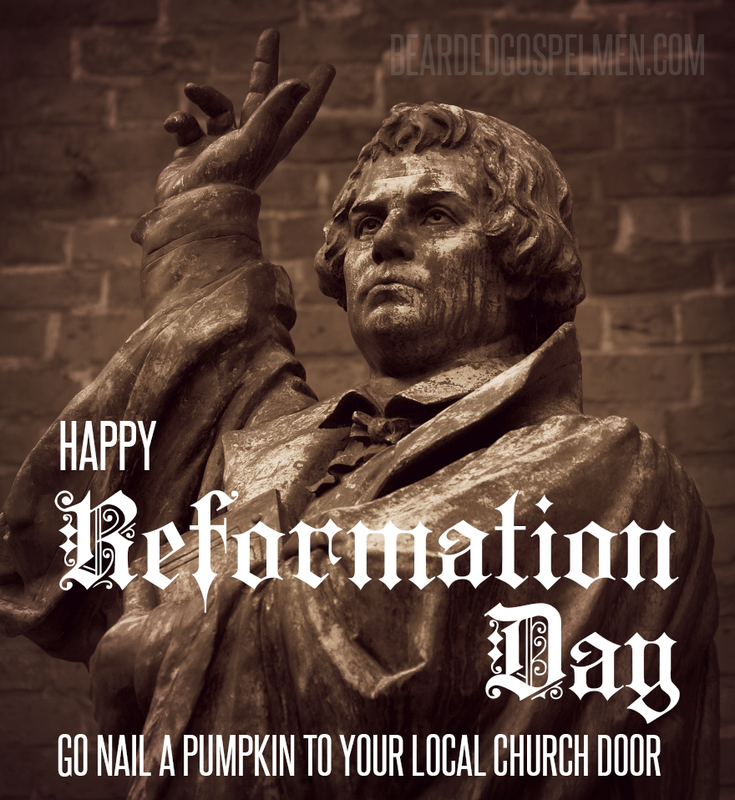 A poem written during the nascent days of The Reformation. sister of King Francis I, a persecutor of The Reformers. Without are branch and foliage, flower and fruit. To me, although a naked worm I be. From death by death our liberator. By faith we’re made the sons of the Creator. How rich, how strong, how wise I am in Thee! God’s dwelling place, – and yet how little worth. This review is not intended to malign or condemn my dear brother and friend, Voddie Baucham; it is to expose the errors one can be led to if presuppositions are left unexamined, if documents other than Scripture are held too tightly. This sermon sums up much of what caused me to withdraw from Grace family Baptist Church; it violates many of the basic rules of hermeneutics that Voddie taught me, apparently having his view distorted by his “confessionally colored glasses” as Bob Gonzales put it. Early in this sermon, Voddie asserts “Israel mirrors New Covenant people.” This is fundamental to the message of this sermon, but is it true? A mirror is intended to give an accurate image of the object, as when Scripture says Jesus Christ is the visible image of the invisible God (Col 1:15) and He is the radiance of the glory of God and the exact imprint of his nature (Heb 1:3). Israel, however, is NOT a mirror image of the church which was purchased by the blood of Christ Jesus. Israel was a type, a shadow – providing a useful but imperfect image of the antitype, the church (Hebrews 8:1 – 6). They were a mixed seed of mostly unregenerate people. While the local church will have wheat and chaff growing side-by-side until the reaping (Matt 34:31; Rev 14:15), the universal church is pure and undefiled in any way (Eph 5:27). This cannot be said about Israel; it is NOT a mirror of God’s redeemed people. But it’s important for Voddie’s entire message that we agree that we are Israel (as he points out later), because the Scriptures tell us that the covenant was made with Israel and the words written on the stone tablets testify of that covenant (Ex 34:27 & 28). Moses emphasizes (Deut 5:2 & 3) this covenant was made with national Israel, not the patriarchs. And not – by implication – with Adam or the redeemed. As we will see, if Israel is not a mirror of the church, this message fails. Still early in the sermon we are told, “Understanding the Sabbath is one of the most important junctures in our theology.” I agree with him on this. It will be apparent, however, I do not agree with his understanding of the Sabbath. Then he says, “Is it 8 of 10 or 9 of 10 who deny a Sabbath commandment?” It’s clear he simply made up this number, apparently to demonstrate the pitiable condition of the apathetic saints who disagree with him. Before getting into the substance of his argument, I am compelled to point out a subtle but glaring aspect of his repeated description of non-Sabbatarian Christians as those who deny or do not believe in a Sabbath command. Speaking for myself, I do not deny that the Bible has a Sabbath command. I believe in the Sabbath command. I simply look to the Scripture to inform me as to the subjects of this – and other commands. I deny that the Sabbath Command is binding for people in the New Covenant. I openly agree that it IS binding on those in the Mosaic Covenant, but not all men universally. By phrasing it as if we deny that the Bible commands some people to keep the Sabbath, Voddie implies though we cut objectionable parts from our Bibles. It is more likely, as we will see, that sabbatarians add parts to the Bible – reminding me of an author who describes dispensationalists as people of the invisible Scripture. Voddie taught me to tackle the best argument of those I disagreed with, as any victory over a weak argument would be meaningless. He appears to have forgotten this counsel, as this sermon engages only weak (or made up) positions. One of the main tenents of his argument is that the Decalogue, as a unit, is equal to God’s moral law. This is not explained or defended from Scripture. As his beloved Second London Baptist Confession states in chapter 19, paragraph 3 (referring to the tablets of stone mentioned in paragraph 2), “Besides this law, commonly called moral …” and not one single verse is referenced. As one author I recently ran across observed, when theologians don’t have a biblical defense for something they assert, they use phrases such as “commonly called”. This is an appeal to a false authority – a logical fallacy. This is another aspect of preaching Voddie taught me – do not fall into the use of logical fallacies to make your point. Doing so lessens the authority of the message. Therefore, he concludes, as a moral law, the Sabbath is binding on all people. From this position, He mocks 7th day Sabbatarians, whom he describes as 1 of the 10 who don’t get “truth” as he defines it. Another 10 percent hold to the idea of a “Christian Sabbath”; the remaining 8 of 10, a huge majority of Christians, deny the “Christian Sabbath” and are unable to explain why. Voddie is well aware of scholarly works by credible Christians who provide solid biblical defense for why the Sabbath is for Israel and not the Christian. D.A. Carson’s From Sabbath to Lord’s Day and Terrence O’Hare’s The Sabbath Complete are two such books that I know he is aware of. Is it sophistry to assert that, in general, all those Christians who deny the “Christian Sabbath” cannot explain why they hold that position. I betcha 9 of 10, or maybe 10 of 10 people who believe the Decalogue equals God’s moral law cannot explain it from Scripture. This is because Scripture does not define “moral law” nor does it equate that concept to the Decalogue. That correlation is simply not found there. That’s why the Westminster and Second London Baptist Confessions say the Law given Moses is “commonly called” the moral law. This is a concept originally put down on paper by Thomas Aquinas, the same one who developed the triad view of the Mosaic Law. Baucham makes the interesting observation that since the Sabbath command was introduced in Exodus 16, chronologically before the law was given to Moses, and because it is allegedly rooted and grounded in a creation ordinance, it transcends the Decalogue. This is a double assertion based on his confessional presuppositions, not found in Scripture. When YHWH instructs the infant Hebrew nation about the Sabbath, using manna as the object, it is clear they were not familiar with the Sabbath, it was something new to them. This is the first record of the Sabbath in Scripture. It is another argument from silence to claim the Sabbath was known, kept and enforced from creation. The mention of the 7th day in the Decalogue does not establish a creation ordinance; it is given by God as an example for Israel to help them understand His command to rest from their work. John Calvin, John Gill, and John Bunyan each held a high view of the Lord’s Day, but dismissed and argued against the idea of a Sabbath creation ordinance. Circumcision was part of the Mosaic Covenant given before the Decalogue – does it also transcend the Decalogue and bind all people? YHWH gave the Sabbath to Israel as part of the ordinances, instructions, statutes, and commands, through His servant Moses. When Nehemiah continues on to describe YHWH’s kind provision in the desert, giving the Sabbath command to them is not listed. But taking the command in Exodus 16 into account, we can be sure YHWH taught and revealed His Sabbath to Israel at that time – but it was not given as the sign of the Mosaic Covenant until Sinai. There was a Sabbath before the commandment. It began as a teaching of the concept to the Hebrew people, not as a continuation of something they knew for generations since Adam taught Seth. In Exodus 16, when Israel is rebuked for trying to gather manna on the Sabbath, God tells them the Sabbath is to be kept by the families staying in their homes. There is no corporate worship, nothing standing as a type for the “Christian Sabbath”. Voddie tells us, “Whenever you see Israel messin’ up – stop and insert yourself. That is you and me before we came to God. Forget generalities – this is you and me.” Again, the notion that Israel is a mirror of New Covenant saints shows up and seems innocuous. Voddie also taught me to be careful about inserting self into a Scripture passage, often using Jeremiah 29:11 to teach this. It appears he forgot this lesson. 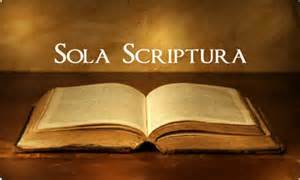 While all Scripture, including Exodus 16, is for our edification (1 Cor 10:6; Rom 15:4), not all Scripture can be applied directly to us. Israel is typological of all sinners, but that is NOT the same as saying you and I are Israel in this passage. Being less than careful in this matter can lead to serious errors – as when people drink poison and handle snakes by inserting themselves into Mark 16:17 & 18. He quotes Ian Campbell from Why Easter makes me a Sabbatarian. This is an interesting article, easily found on the Internet, providing a defense of the Westminster Confession’s view of the “Christian Sabbath”. Despite Campbell’s assertion to the contrary, the pre-command for Sabbath-keeping in Exodus 16 is given only to Israel, not all people; same as the Decalogue. Nothing in the context of either scene comes remotely close to including Gentiles. Voddie admits the Decalogue summarizes the Mosaic Covenant, yet declares “the Sabbath was not just for Israel.” His continued conflating God’s moral law with the Decalogue leads him to impose the Decalogue universally. “If the Decalogue is a communication of God’s righteousness, then everyone is responsible for upholding it.” If by upholding it Voddie means we are bound by it (as the 1689 says), then he will run into myriad problems throughout the Bible as God’s righteousness is revealed and communicated in ways that even Christian Sabbatarians would not claim. The crime and punishment of Achan in Judges 7 comes to mind. If everyone is required by God to keep His Sabbath, why is the only record of the Decalogue we have contained in the monologues by Moses, communicating this law (the summary of the Mosaic Covenant) to that people? If it was commonly practiced from creation, why is there no Biblical record of anyone other than Israelites being instructed about the Sabbath or punished for violating it? There is plenty of punishment meted out on people for murder, theft, idolatry, etc., before the Decalogue is published, giving warrant to the notion that there is a moral law at work in all humanity. Yet nowhere in Scripture is the Sabbath held up in this light; it is a sign of the covenant between God and Israel. The tripartite view of Mosaic Law is difficult to demonstrate, as when we try to separate moral law from ceremonial in Leviticus we see they are interwoven everywhere one looks. Principals of moral law and ceremonial and civil law are there to learn from; but they are not neatly defined and set aside (sanctified) as separate records. Voddie claims Sabbatarians are the only people who see all men responsible before God for keeping His law. Others say man must voluntarily enter into covenant with God to be held accountable. This is another logical fallacy – the Excluded Middle: assuming there are only two alternatives when in fact there are more. Are Sabbatarians the only ones who embrace God’s sovereignty and monergistic work of justification, and the Christian’s responsibility to pursue godliness? Reading from Luke 6, wherein Jesus makes the claim He is the Lord of the Sabbath, Voddie asks, “would Jesus claim to be Lord of something that was abolished?” What if the Sabbath is by design a type of the rest we find in Christ as He redeems us? We are told to rest in the Lord (Psalm 37:7) and are invited by the Lord Jesus to find rest in Him (Matthew 11:28 – 29). If He gives us spiritual rest when we come to Him in faith (which He graciously gives His elect), is He not, in this way, continuing as Lord of the Sabbath? No one enters into His rest unbidden by Him – He is Lord of the Sabbath! Jesus does not promise the pale imitation of the rest provided for by temporal respite; He gives the eternal rest that can be found nowhere else. Baucham then runs to Hebrews 4:9 to claim THAT as a Sabbath – the weekly “Christian Sabbath.” For each of the types spoken of in Hebrews 3 & 4, the Spirit recounts how the infant nation of Israel failed to enter His rest in Canaan because of unbelief (Heb 3:7 – 19), how we who do believe enter that rest (not in Canaan, but in Christ; Heb 4:3), and He speaks, again, how Creator God rested from that work on the seventh day (Greek word hebdomos, #G1442; Heb 4:4), and how the (spiritual) rest promised to those who believe is different than the (temporal) rest Joshua promised (Heb 4:8). Therefore, a Sabbath rest remains for God’s people. For the person who has entered His rest has rested from his own works, just as God did from His. (Hebrews 4:9-10 (HCSB)) This rest, sabbatismos (Greek word G4520) is used nowhere else; it is found only in verse 9. If it were to be a weekly Sabbath, we would expect to see sabbaton (Greek word G4521) which is used 68 times in the New Testament, overwhelmingly to describe the Jewish Sabbath. If the temporal rest Joshua sought was singular occurrence and the rest from creation was a singular occurrence, why would the rest believers gain when we are adopted by God be a weekly event, rather than a singular, ongoing rest in the finished redemptive work of Christ Jesus? The Jewish Sabbath was a pale ceremonial rest from work to demonstrate their trust in YHWH, not an instruction to develop corporate worship. As a command to rest from that work which provided food for themselves and their families, the Jewish Sabbath serves a wonderful type for Christians – to rest from that work which seems to earn God’s favor and find true rest in the finished work of Jesus, the antitype; not a weekly spiritual respite. In this comparison between the Christian Sabbatarian position and those who do not agree with it, Voddie lumps all non-sabbatarians in with Ed Young’s horrible Easter Sunday extravaganza. “This command, which has been place since the creation of the world…” Again, there is no record of any Sabbath command or Sabbath keeping until Israel was instructed in Exodus 16. Law against murder is clearly in view, for example – yet NOTHING about Sabbath until the Exodus. There is no command or instruction to move the Sabbath to the 8th day. Christian gatherings on the 8th day (prayer, praise, preaching, and fellowship of the saints) have no connection to the commandment – which was to stay in your house and rest from your work. The false contrasts continues. He states that only Sabbatarians give the Lord every Sunday, and everyone else only Easter. Voddie heavily expounds, “the timeless command observed by us on this day speaks volumes.” And “As God’s people, this is what God commands of us” – to gather twice as much manna on Friday so we won’t gather on the Sabbath. “But if you believe there is an obligation for God to be worshiped on this day, ‘but you do whatever to rid yourself of the guilt of playing sports on Sunday’ … is the day His or is it not?” “That’s the question – is the day His or is it not? We cannot embrace the blessing of the Sabbath without embracing the fact that it is a command.” He implies the “Christian Sabbath” is the only means by which saints can gather and participate in the ordinary means of grace our Lord has given us. A long quote from B.B. Warfield’s sermon on the “Christian Sabbath”, pressing the command and obligation of the Sabbath, with no exegesis to show how this command is binding on Christians as is claimed. Voddie touts the notion that we must be commanded to worship each week because the world does not see its need to worship God – sounding just like Walter Chantry’s pragmatic plea to keep the Sabbath as a means of redeeming the culture (Call the Sabbath a Delight). Paraphrase: ‘Only if you get the “Christian Sabbath” as a command do you get the blessing God intends for you in this day.’ How ‘bout this, as an alternative: Jesus kept the law of Moses and the prophets, not just the Decalogue. He earned the right to be our lamb who takes away sin. We find the blessing of our rest in Him and His finished work. He laments, ‘Failure to attend church regularly will cause your soul to shrivel. Failure to give God this day is to your great harm and detriment.’ Again – Christians want to gather and worship our Lord; the command does not command worship. ‘What does the Sabbath teaching in Exodus 16 tell us about Israel and us? First, it was commanded and very specific. Gather twice the bread on the 6th day … As the people of God, this is what God commands us. Again, 8 of 10 Christians do not believe the Sabbath command means they think going to church is optional.’ I agree with Voddie that we who claim Christ must trust Him to provide for us and not view work as an ends to be pursued to the detriment of our souls. This principle is taught us by the Sabbath command given the Hebrews. This is how types are interpreted, discerning the way they apply to us, rather than assuming equivalence. “Ancient writers wrote about how extraordinary Israel was where in 1 day out of 7 everything stopped.” He doesn’t tell us the name of one of these ancient writers, but the official record of Israel’s history, the Scriptures, tell us Israel routinely profaned God’s Sabbath command and were punished many times (Ezek 20 & 22 for example). “This 1 day in 7 set them apart inwardly.” FAIL! Only the Spirit of God can do this! He presumes equivalence between “the Lord’s Day” and the “Christian Sabbath” and assigns spiritual blessings to Christians for keeping of the Law of Moses – which the Apostles declared a burden no man could bear. “This is the day when we let everything else stop!” And yet – Voddie has repeatedly taught that it’s OK for people to enjoy sports and recreation on Sunday as long as it does not conflict with church. The Christian values the community of faith on Sunday, but meets with God every day. It’s not just the 8th day that is God’s – every day is. Our Sabbath rest is found in our Savior, not in a shadowy ceremonial type that was fulfilled in the person and work of our Lord. FINALLY he tells us our day of rest is the rest we find in Christ (IAW Heb 4:9, perhaps? ); but it’s still only a weakly (no misspelling!) rest for Voddie, rather than the ever increasing rest we enjoy as He sanctifies us. “He gives you six days – do you not believe He can multiply your bread on the 6th?” We mostly work 5 days in this country and ought to trust in our provider more than our employer – but that work is as much as ordinary means of grace as any other provided for us. Voddie condescendingly dismisses rules for Sabbath keeping, pointing to Exodus 16:23 – claiming they were permitted to cook the manna on the 7th day, just not permitted to gather (the text does not say they were permitted to cook manna on the 7th day). Therefore, he declares, there are no lists for what it means to keep the Sabbath! But what says the Scripture? There we find many rules for Sabbath keeping – not only those made up by the religious rulers. Exodus 31:15 (death for working); 35:1 – 3 (which forbids kindling a fire); Numbers 15:32 – 36 (death for picking up wood); Leviticus 25 (describes the Sabbath Year – why do Christian Sabbatarians not practice this? ); Numbers 28:9 – 10 (burnt offerings); 1 Chron 9:32 (bread of the presence); 2 Chron 23:8 (military guard); Neh 10:31 (showing the Sabbath applying to Israel, not others); Neh 13 (God’s wrath promised to come on Israel for their profaning the Sabbath); Jer 17(prohibition of bearing burdens). No rules for Sabbath keeping, no penalties for breaking those rules? No lists for what God means to keep His Sabbath? Contrary to what Voddie says, the biblical Sabbath has rules, penalties, and lists. If the “Christian Sabbath” he holds to does not, it does not bear witness to the Sabbath in Exodus 16 he is pressing upon his flock. Voddie claims the typological aspect of the Sabbath comes into play after the first resurrection. It’s only a weak weekly observance until you die. He declares that the work of ministry is permitted on the Sabbath and then says his Sunday ministry (preaching) is not work – it’s worship. Preparation for preaching is work. Why, then, defend the work of ministry on the Sabbath if that is not work? A day off to rest his body is fine, but he will not dare call it a Sabbath, “because the Sabbath is the Lord’s Day, not mine.” Every day we live is the Lord’s Day, not ours – just as every good thing we have is a gift of God and not our own (1 Cor 4:7). My dear brother gives us many good reminders about the value of Christians gathering for corporate worship – yet no exegesis showing how the 8th day is defined by the 4th word. He simply gives a naked assertion that the 4th word “goes all the way back to creation.” The Scriptures are silent on this topic in that era; it violates Sola Scriptura to teach that it does. No argument from me that to work six days and rest one is a God-given rhythm for life. The Sabbath command teaches this – it does not teach nor require worship. “This is what we must learn, saints – that God will give us 7 days of provision in 6 days of work.” IS THIS THE APPLICATION OF THE 4th WORD FOR CHRISTIANS? I rather treasure the surety of my soul! Just as God rested from His work of creation to show us a pattern for life and point us to the promised seed, Christ rested from His work of redemption to provide us an eternity of rest – rest that starts as soon as He redeems us and gets better every day until He returns to bring the ultimate glory to His name by recreating the heavens and earth and putting a final end to sin for His saints. That’s my Sabbath – the God-man who is Lord of the Sabbath, He bids me find my rest in Him. To borrow from Kim Riddlebarger’s Reply to John MacArthur (located here: http://kimriddlebarger.squarespace.com/a-reply-to-john-macarthur/), This is hard to say, but in his sermon Pastor Baucham set up and repeatedly attacked a straw man. His was a pyrrhic victory over a phantom foe. Give us Love – Not Doctrine! This is the mantra that is being proclaimed loud and long across this nation. Love and unity at the expense of doctrine has watered down the message so as to try and make it palatable to the goats, and it no longer feeds sheep. Yes, we must share the truth in love, but we dare not state that the only truth is love minus doctrine. Sound biblical doctrine will always produce godly results in that the church will be edified, believers will learn what it truly means to love one another and the world, and most importantly, Jesus Christ will be exalted and glorified – not man!